You can deduct your mortgage’s real estate taxes paid to the state, local or foreign governments. Usually, you can claim the amount of taxes paid in the year of the tax return you are filing. The deduction does not include improvements or services that come along with the property. You would only be able to claim a tax deduction on the $850 Property Tax Fee. You can also deduct your personal property taxes. Similar to real estate taxes, you can claim the amount of taxes paid in the year of the tax return you are filing. You receive a bill from the state for your boat. The total is $175. This includes an annual boat fee of $75 plus 0.6% of your boat’s value. You can only deduct $100 on your tax return since that is the portion based on your boat’s [property] value. Have an escrow account? Read the fine print. It is common to set up an escrow account when you invest in property, this means that you have a third party holding (and essentially saving) your money that will pay for property taxes and insurance premiums throughout your term. This type of account tends to cause confusion when it comes to deducting your property taxes. You aren’t able to deduct the amount that you add to your escrow account each year, instead, you deduct the amount taken out from your escrow account to pay for your property taxes. Here’s the final catch when it comes to claiming property taxes on your return; instead of claiming the usual standard deduction, you will need to itemize. Not to throw IRS lingo into the mix, but this means that you will need to file a Schedule A (Form 1040). Your real estate taxes are reported on line 6 of Schedule A and your personal property taxes are reported on line 7. Since tax payments increase your itemized deductions you can potentially increase your refund or decrease your amount owed to the IRS. Of course, if you decide to file with a tax preparer, chances are this form won’t even cross your mind. All in all, you’ll want to make sure that it makes sense for you to itemize instead of taking the standard deduction. If you choose to itemize, remember to have your receipts ready! Don’t let property taxes deter you from owning something in the future. Sometimes the expense of owning property can leave a pretty large dent in your wallet. Let’s take advantage of the tax breaks offered by the IRS and don’t hesitate to ask us for help. 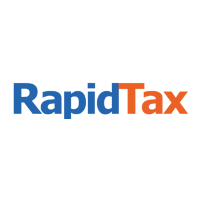 RapidTax can help you better grasp what you need to know for your specific situation. We offer free phone and live chat support. Give us a call so that we can help you claim your property tax deduction this year.